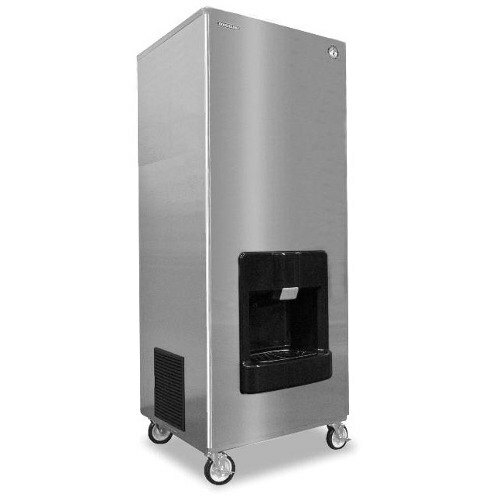 Durable, attractive one piece stainless steel exterior design. Insulated polyethylene bin has a storage capacity of 200lbs. Protected by H-GUARD Plus Anitmicrobial Agent. CycleSaver Design. Push button operate; dispenses 13lbs. of ice per minute. R-404 refrigerant. 115V. Castors optional. DKM-500BAH 466lbs.Â 30" x 28" x 77"